Amid fresh protests over abuses at Maghaberry Prison, a key mediator in an agreement struck in 2010 to ease tensions at the jail has admitted the deal collapsed as a result of unionist political pressure. One of the deal-brokers said former Justice Minister David Ford failed to enforce a deal to limit controversial measures such as prisoner strip-searches, because he was under obligation to the DUP. “I do believe there is interference in the sense, in our view, the then Minister of Justice was probably beholden to the likes of the DUP for his position as Minister for Justice and I think that probably resulted in him lacking the resolve to tackle this matter head-on,” mediator and trade unionist Peter Bunting, has said. He was speaking to a parliamentary committee in Dublin on the implementation of the Good Friday Agreement. It was told available technology had done away with the need for invasive body searches, one of the more controversial issues at the jail, but the agreement to end them was abandoned. Strip searches remain part of everyday life in the jail. Prisoners are also isolated for extended periods - with one prisoner being locked up 23 hours a day for five years - and denied education. 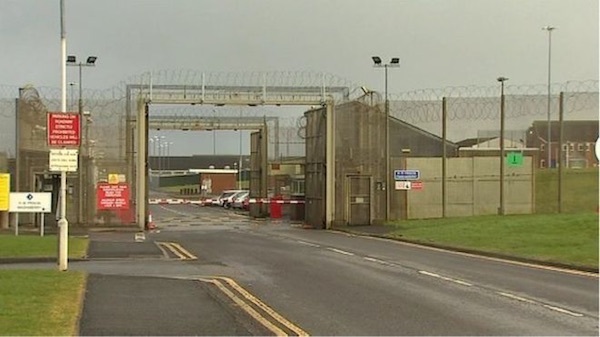 Mr Bunting said strip-searching was being used as a “tool to suppress people” in the Roe House wing of the prison, where republican political risoners are housed. David Ford, who was replaced as Justice Minister earlier this year, has denied acting on behalf of the DUP in the role. Mr Bunting and another mediator met with Mr Ford’s successor Claire Sugden in May, and were assured a speedy review on the agreement’s implementation, but he said they have heard nothing back since then. “There is both a sectarian attitude and there is political interference towards these people,” he said. Senator Frank Feighan, who sits on the committee and who visited the prison, said he was concerned over political interference with the minister for justice. “If that was happening down here it would be a serious national scandal,” he said. The Irish Republican Prisoners Welfare Association welcomed the insights. “Despite Republican Prisoners doing everything in their power to ensure the terms of the agreement were met, when it was quickly reneged upon by the Maghaberry administration, Ford insisted the blame lay with the Republican Prisoners,” they said. “When he was asked to provide evidence of how the Republican Prisoners had reneged on the agreement, he had the audacity to claim threats against staff on social media had resulted in him drawing the conclusion that Republican Prisoners had reneged on the agreement. The IRPWA also expressed concerned that despite an initial meeting with the new British Minister for Justice, they have yet to hear a word back from her after six months.